There’s green space, and then there’s the North Saskatchewan River Valley, North America’s largest stretch of urban parkland. Cruise through it by foot, canoe, fatbike, snowshoe. cross-country ski or even segway. At 22 times the size of New York City's Central Park, there is tons to explore. 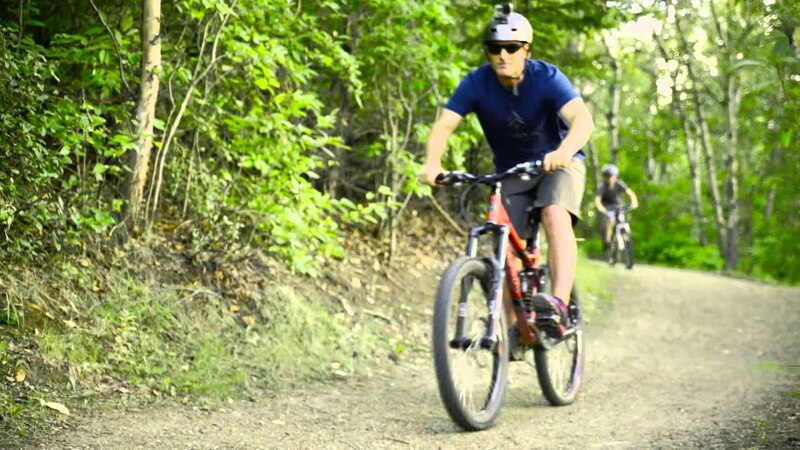 Edmonton's river valley and park systems have 150 kilometres of trails scattered throughout the city just waiting to be used. Jog or stroll through the winding paths and find yourself surrounded by wildlife as you take in the beautiful views of the cityscape. Or if you're an adrenaline junkie, choose to ride off the beaten path and pedal off-road on your mountain bike. For a map of the bike paths throughout Edmonton, take a look here. For a fun day’s outing, visit some of Edmonton's attractions along the river valley. For history lovers, step back 100 years at Fort Edmonton Park where you can experience four eras of Edmonton's past. Nestled in the heart of the valley is the Edmonton Valley Zoo with over 350 different animals to visit! Admire the pyramids of the Muttart Conservatory filled with beautiful gardens and species from Mexico to Madagascar. Or learn about nature and wild animals at the John Janzen Nature Centre.